Obsidian Entertainment says mainstream publishers have asked it to use Kickstarter to fund games that they would then publish and profit from. One of the great things about Kickstarter is that it allows game makers to bypass publishers and create games that might otherwise not be funded. Brian Fargo hammered that point home in his Wasteland 2 Kickstarter pitch and Grim Dawn drew in nearly double its funding target despite the inability of Crate Entertainment's predecessor, Iron Lore, to survive in the conventional market. 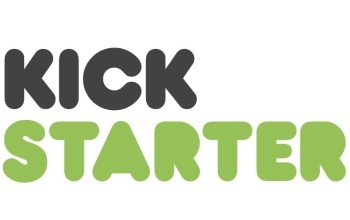 Kickstarter isn't ever going to replace the traditional publishing model - you're not going to crowdfund a Skyrim or a Modern Warfare - but it is opening up possibilities that were almost inconceivable just a couple of years ago. But according to Obsidian Entertainment, which recently hit Kickstarter with the Infinity Engine-inspired isometric RPG Project Eternity, publishers are beginning to take notice - and, more to the point, they're trying to take advantage of the system. "We were actually contacted by some publishers over the last few months that wanted to use us to do a Kickstarter," CEO Feargus Urquhart wrote on the Project Eternity Kickstarter forum. "I said to them 'So, you want us to do a Kickstarter for [you], using our name, we then get the Kickstarter money to make the game, you then publish the game, but we then don't get to keep the brand we make and we only get a portion of the profits?' They said, 'Yes'." Urquhart rather generously said that he believed the requests came not from a position of evil, but one of ignorance. "I think they were trying, honestly, to be able to do something with us and they felt that was the easiest way to do it. They would then not need to go get budget approved and deal with the challenge of that," he wrote in a follow-up post. "What I don't think they did was to think about our side of it and what they were really asking." The idea does seem rather ill-considered. It's an easy source of money at first glance, at least for a big draw like Obsidian, but as Tim Cain pointed out, the money raised on Kickstarter is nowhere near the budgets required by even mid-range games. And I can't imagine the uproar that would come in the wake of an announcement that a popular, successful Kickstarter project suddenly has an exclusive publishing deal with Ubisoft. I think I'd be asking for my money back.